We realize high-precision bending of steel pipes by the development of bending processing technology using ultrasonic vibration. 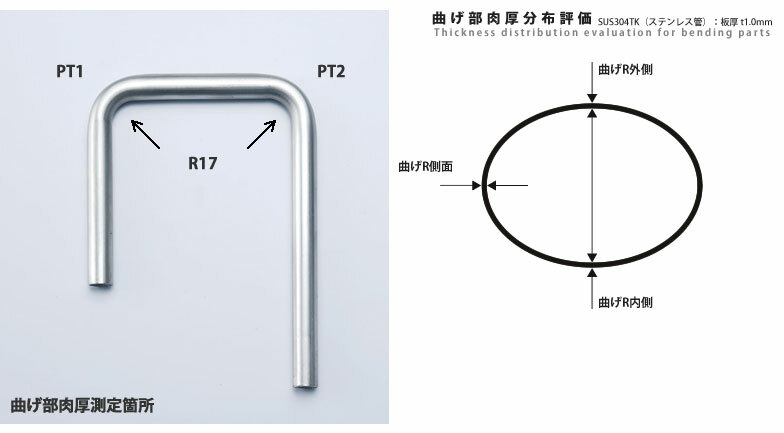 For difficult-to-cut materials such as SUS, titanium and inconel, dimensional accuracy for continuous bending radius has improved. We can respond to strict bending conditions such as minimization of bend radius.